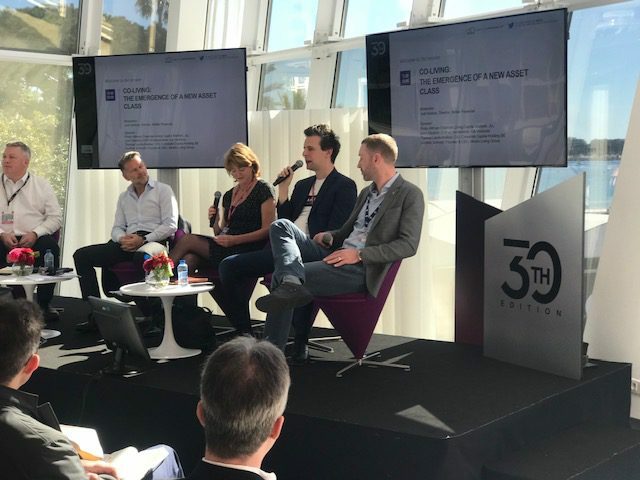 Bellier Director Judi Seebus moderated two panel sessions on emerging market trends in the fast-growing Co-Living and Healthcare property investment sectors at MIPIM in Cannes — the world’s largest real estate trade fair – which was held from 11 to 15 March. The Co-Living panel was hosted by Berlin-based Medici Living which announced in December last year that it had joined forces with Frankfurt-listed Corestate Capital Holding to invest €1 billion of equity and debt in the co-living sector in Europe over the next three to five years. The joint venture partners aim to build up a portfolio of about 35 assets and 6,000 beds under Medici’s Quarters brand. Hard on the heels of that announcement, Medici Living revealed in January this year that it is investing $300 million together with German family office W5 in the rapidly expanding US market. Commenting on the ambitious expansion plans, Medici Living founder and Chief Executive Gunther Schmidt said during the panel that he believed co-living had greater potential than the booming co-working sector. 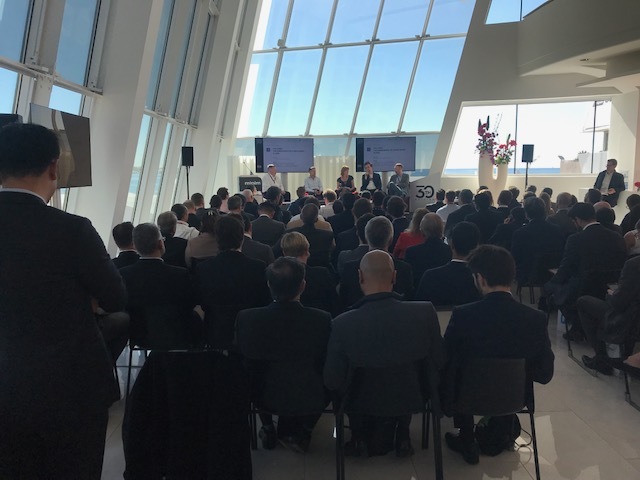 The other panelists included Thomas Landschreiber, Chief Investment Officer at Corestate Capital; Philip Hillman, International Director and Chairman Living Capital Markets at JLL; and John Diedrich, EVP of Investments at Chicago-based CA Ventures. In another panel discussion hosted by Luxembourg-based Threestones Capital Management and moderated by Judi, Dr Pritpal Tamber set the scene with an inspiring presentation on how many of our assumptions about health are wrong and that healthcare contributes less than 20% to our health. “Most of the rest – or 60% – comes down to our environment and social circumstances,” he said, adding that the idea of place-making was key if we are to get serious about health as a consequence of place. The other two panelists were Mike Adams, Chairman of UK-based developer and investor Octopus Healthcare; and Bob Wills, Director of Medical Architecture.